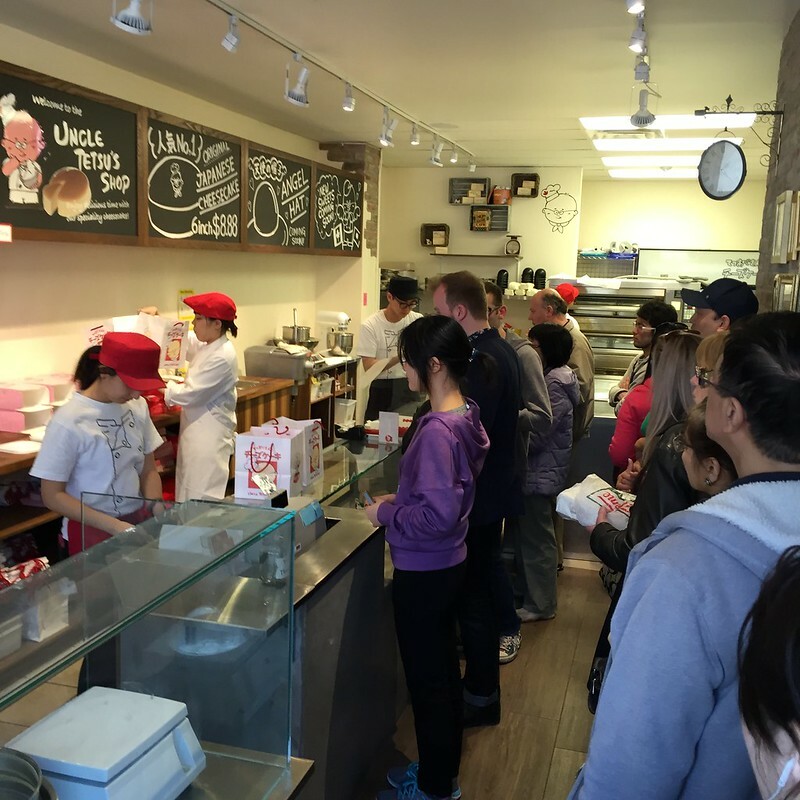 Torontonians will gather and line up for the hottest thing in town. 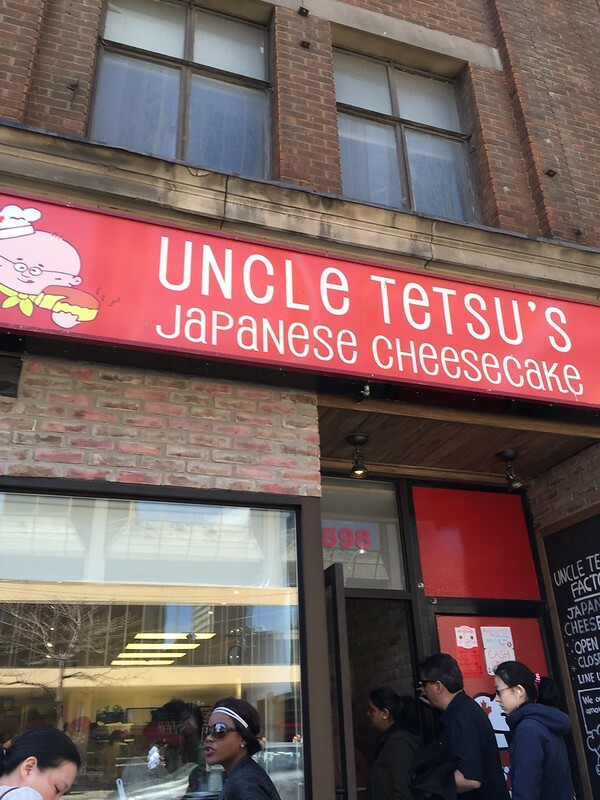 News does travel fast (thanks to social media and the web) and one of the recent trends was Uncle Tetsu‘s cheesecake. I was downtown two weeks ago and had some spare time on my hands. Thankfully the line was quite short and it wasn’t too hot to be lining up in the sun. 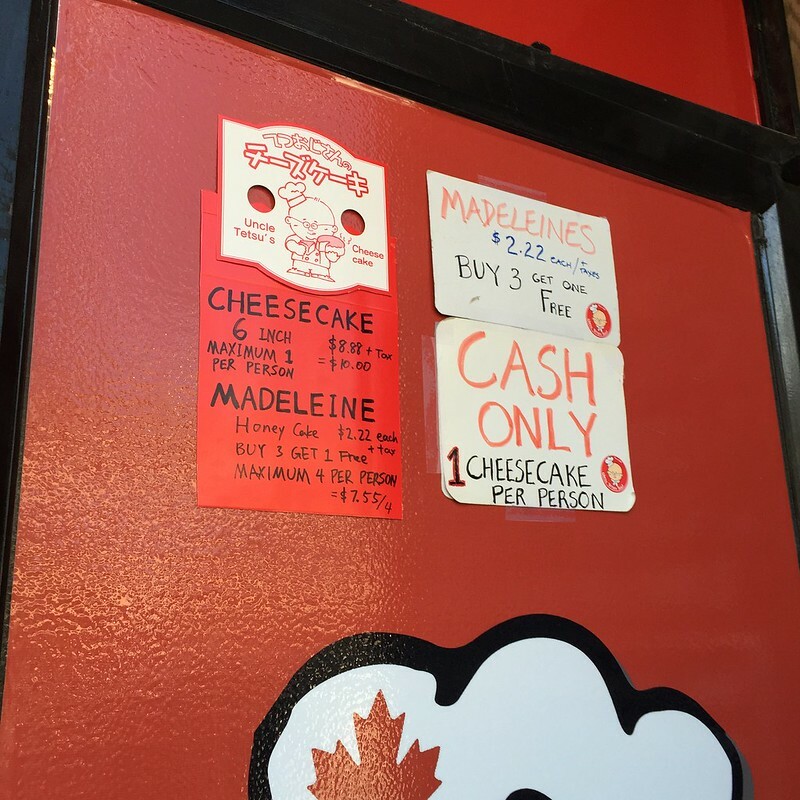 There are several things you should note; cash only and one cake PER person. They already calculated how much you should pay in total (including tax). The shop is small; just enough room for two customers, standing side by side, shoulders touching. 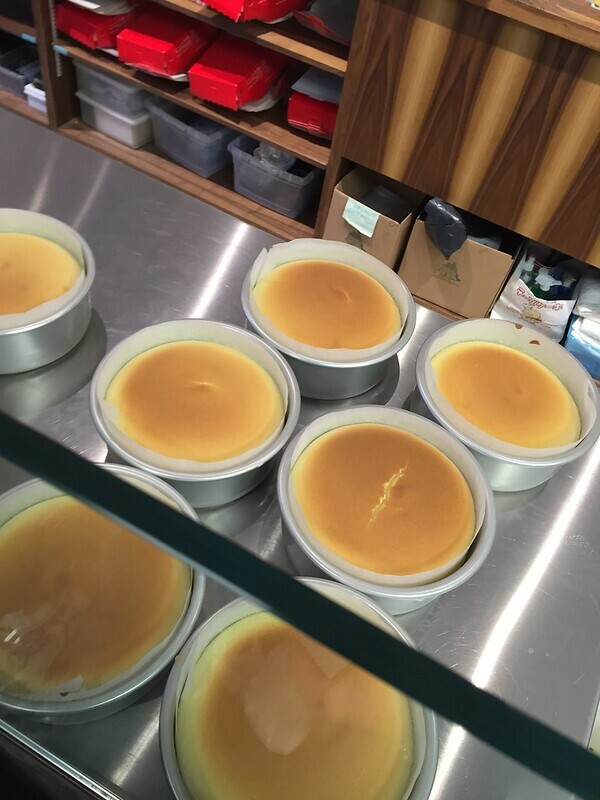 There are about 7ish staff working, the majority are preparing the cheesecakes and madelines. 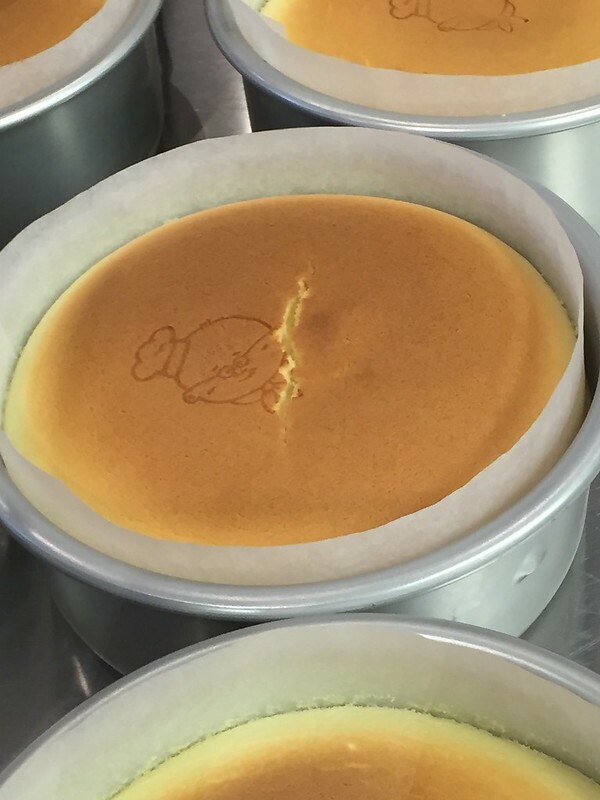 The hot and ready-to-eat cheesecakes are stamped with the logo before boxing. 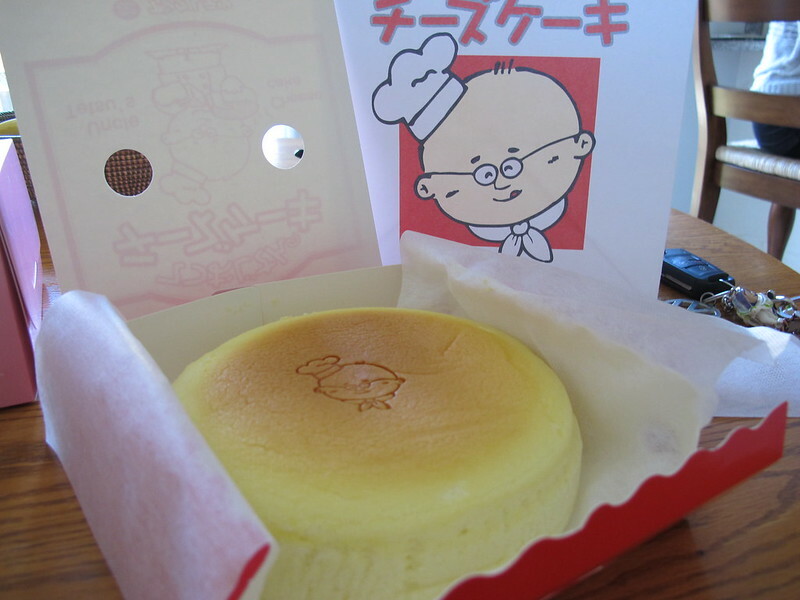 The cheesecake is light in flavour and texture (don’t eat anything to flavourful before). The madelines were a disappointment; too dry and plain (honey cakes? I couldn’t taste any honey). I waited a hour and a half to make my purchase. Though I didn’t mind waiting in line, this definitely doesn’t deserve more than a hour wait time. 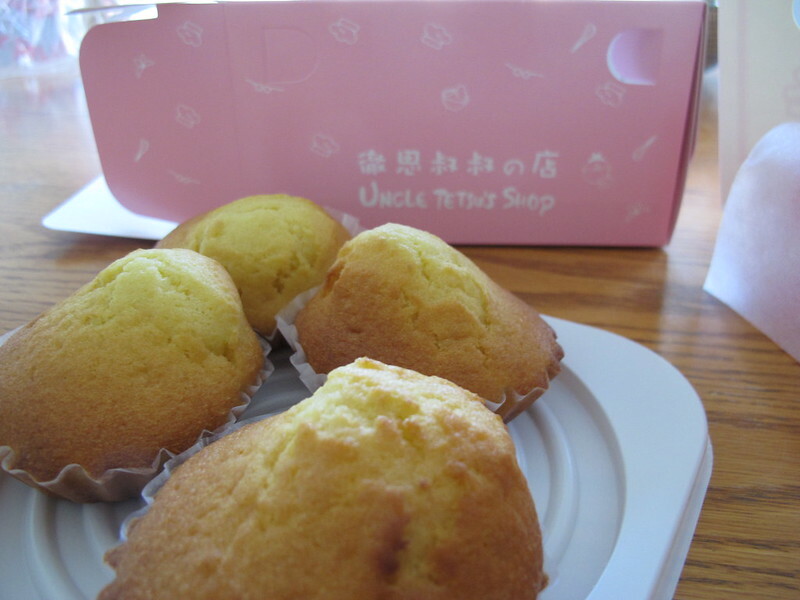 Uncle Tetsu’s website here. 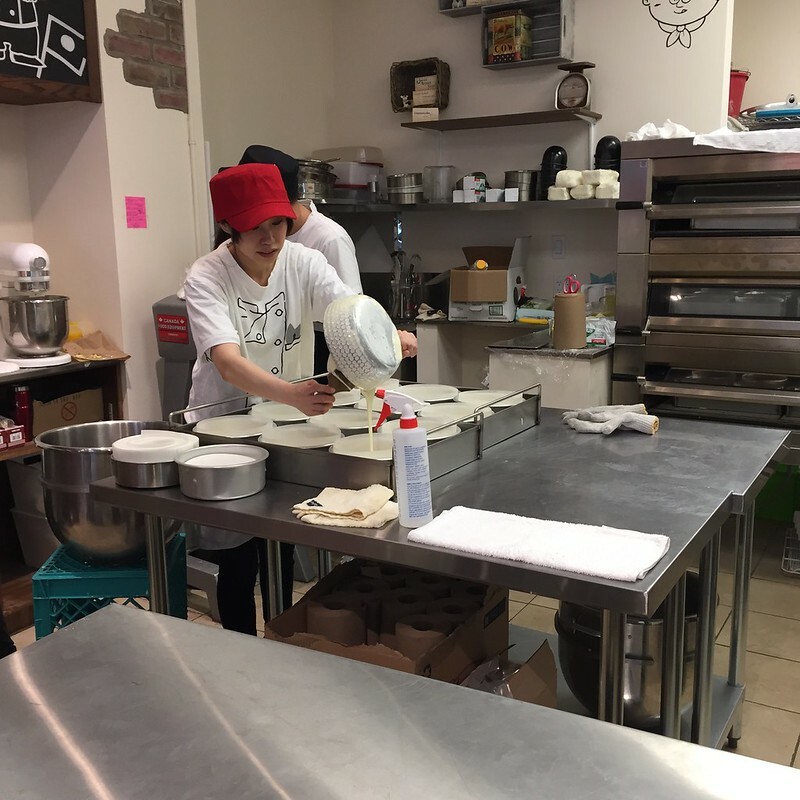 Article and video (The Star) on the Japanese cheesecake here. Follow @tetsulineup (Twitter) for line up wait times.